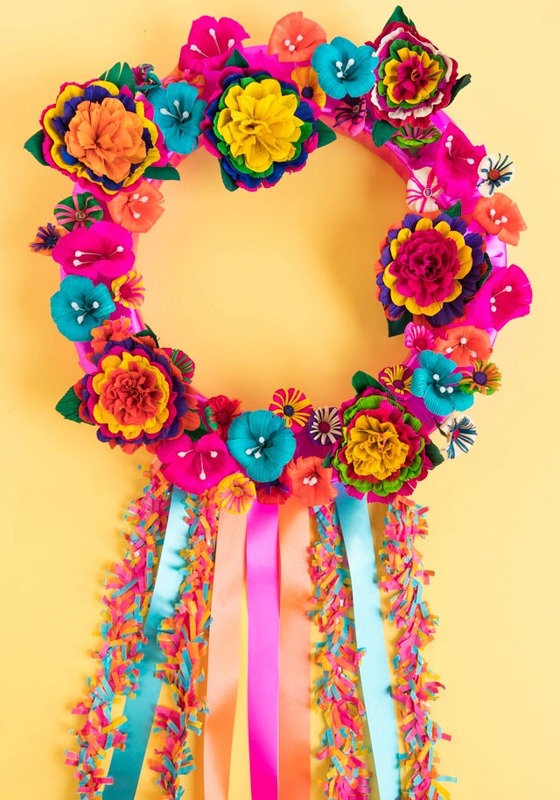 The fiesta season is officially upon us and Cinco de Mayo is a couple short weeks away! 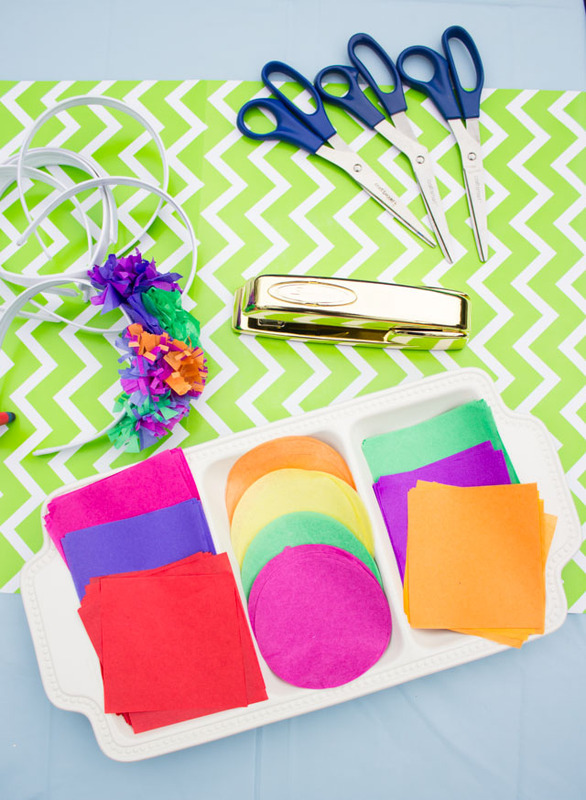 Time to get party planning! 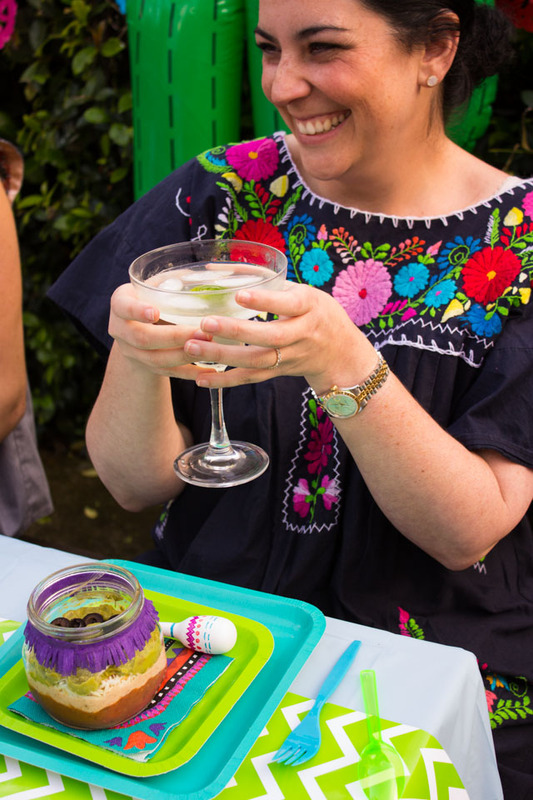 I recently partnered with Oriental Trading to create a festive backyard celebration for a few of my girlfriends. 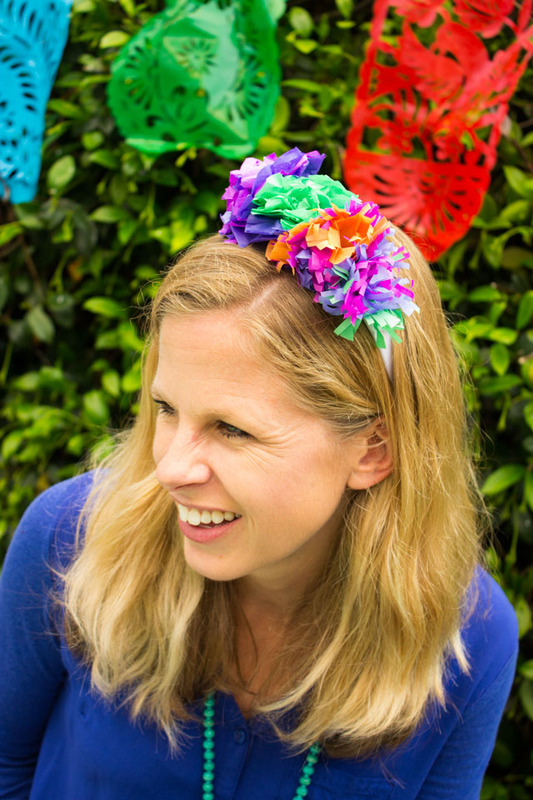 Read on to see my top 7 essentials for your own Cinco de Mayo party! 1. An invitation in a box! Who can turn down an invitation when it arrives like this? 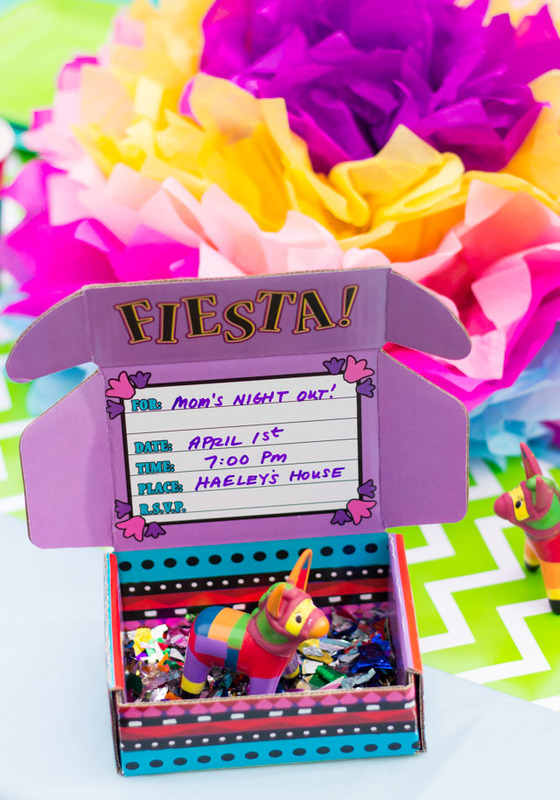 I love these fiesta invites in a box complete with mini piñata donkeys from Oriental Trading. I filled them with a little shiny confetti and sent them off to my party guests. It cost a little over $2 in postage for each – well worth it! 2. 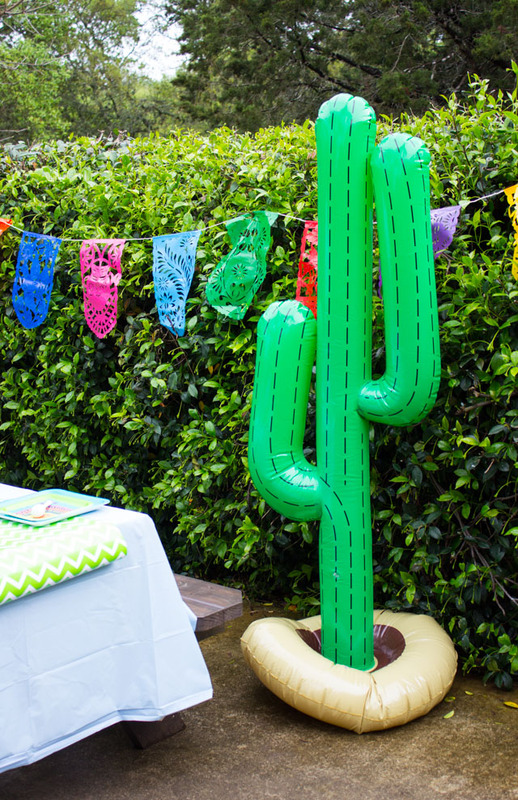 An inflatable cactus Inflate this cactus an you have an instant party – whether it is in your backyard or dining room! All things cacti are so trendy right now, and I have a feeling I’ll find a way to incorporate this guy into many parties to come! 3. 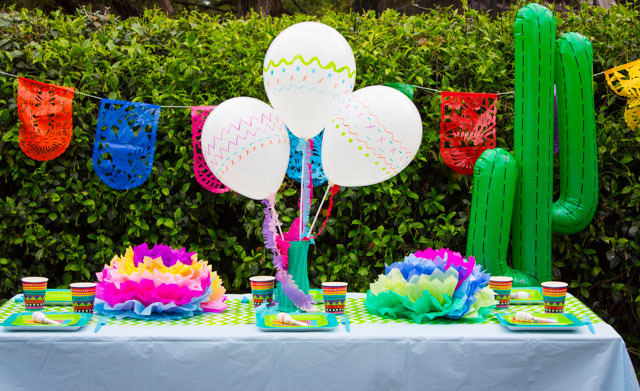 Fiesta balloons – balloons make every party a little more festive, especially when they are embellished with a little DIY touch! 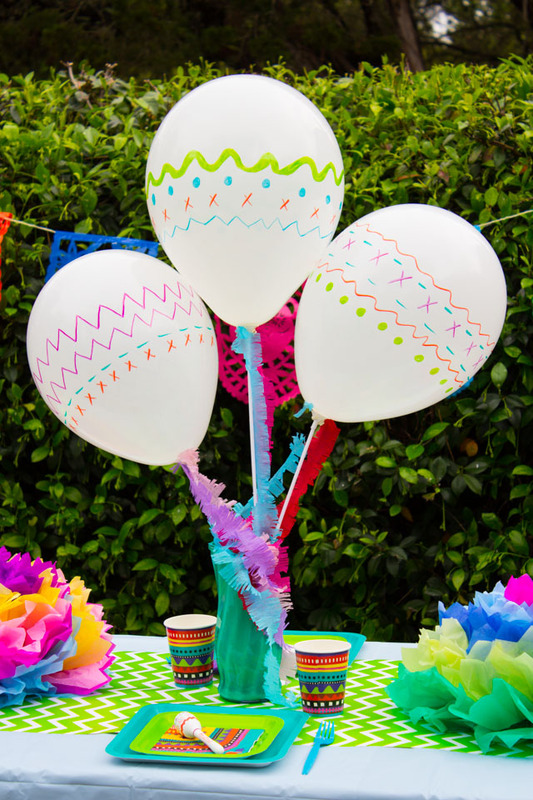 I made these fiesta balloons to look like maracas and stuck them in a vase for a pretty centerpiece. Find the simple tutorial here! 4. 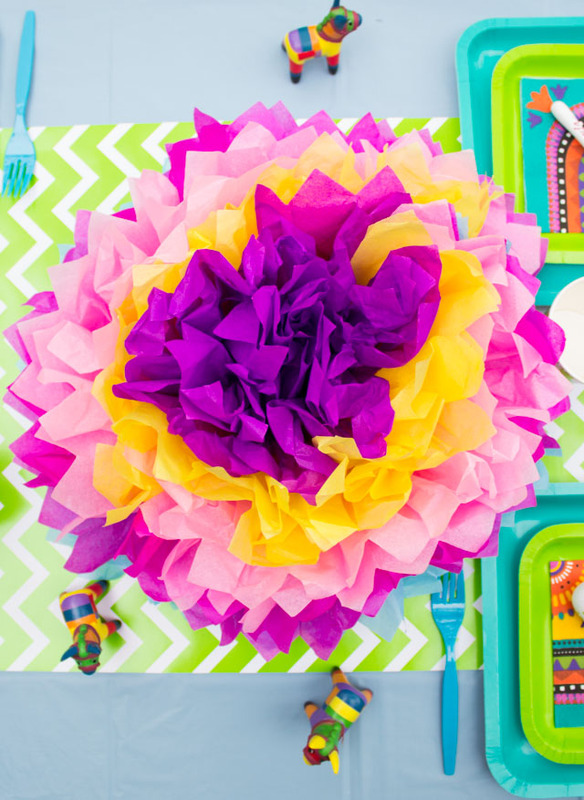 Giant tissue paper flowers – I love the bright paper flowers that go hand in hand with fiesta. 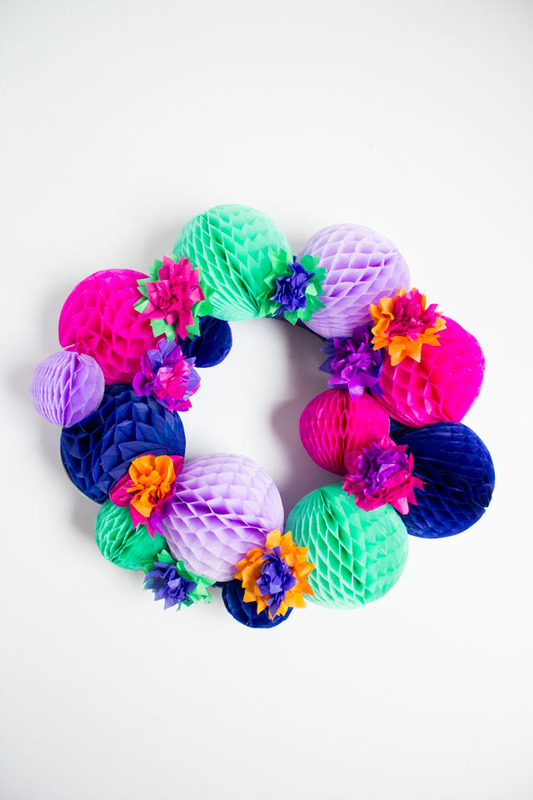 You can make your own, or buy a kit like these giant tissue paper flowers. Just fluff them up for instant decor for your tabletop or party backdrop. 5. Mini maraca party favors – a little personalized touch that doubles as a place card and a take-home favor. Score! 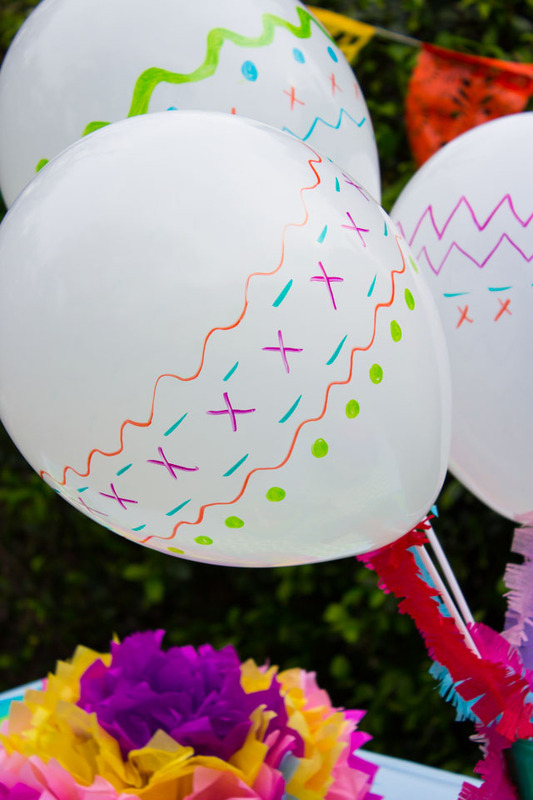 Just grab some Sharpies and doodle on these DIY mini maracas. 6. Craft time! Ok, of course I had to throw this one in! I love incorporating a little craft project into my get-togethers and letting my guests get creative. I always keep it simple so everyone can have a good time! We made our own floral headbands and crafted until dark! 7. Good friends, food, and margaritas! I saved the best for last. What’s a party without these three things? In addition to having over some great ladies, we enjoyed some good food and drink. I made individual 7 layer dips for everyone. 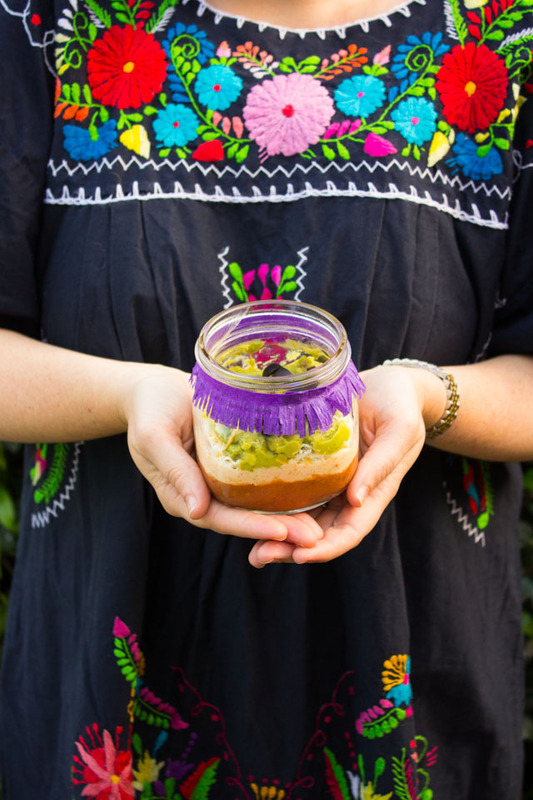 Check out this simple Cinco de Mayo recipe that your guests will guarantee to love! 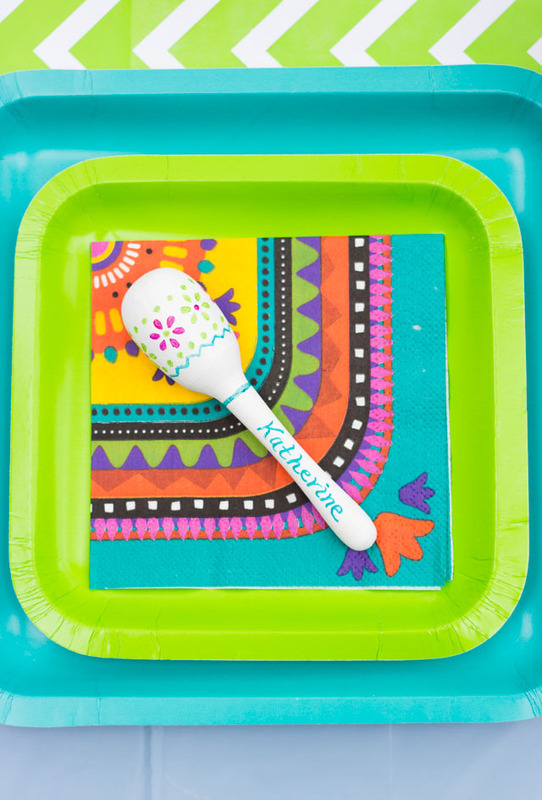 Be sure to head to Oriental Trading’s blog for a full list of party supplies, tutorials, and recipes!